. . .Winterbourne, conscious that he had been very bold, thought it possible she was offended. "With your mother," he answered very respectfully. She does what she wishes. 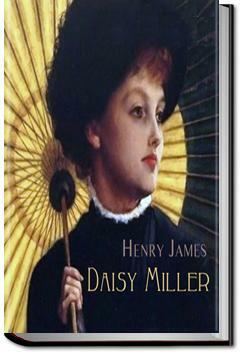 Daisy Miller, published in 1879 brought Henry Miller his first success. The short novela (72 pages) casts an eye of societal norms of the day. I rarely discuss plot, and doing so in a book on which so much has been written, seems to me like jumping into a bottomless pit. But I was sad, no; I ought to say that it irked me that Henry James had her Annie, ‘Daisy’, die at the end.